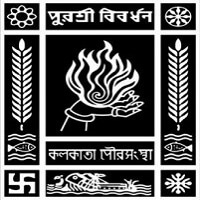 KMC Recruitment 2019 – Kolkata Municipal Corporation (KMC) scheduled walk-in-interview for 157 Staff Nurse vacancies & 38 posts of Laboratory Technicians. The detailed eligibility criteria and application process are given below. The candidates must be registered under West Bengal Nursing Council and must have proficiency in Bengali. On the basis of marks obtained on basic qualification and interview a panel will be prepared for engagement as per rule. How to apply KMC Recruitment 2019 for Staff Nurse? All interested and eligible candidates can download the application from KMC website (www.kmcgov.in) and attend walk-in-interview along with required documents at following venue on 18 March 2019. Venue Date: 18.03.2019 (Monday) Reporting Time: 10.30 a.m. to 12:00 p.m.
All mark sheets (including internship wherever applicable) & pass certificates of GNM / B.SC Nursing. Higher Secondary passed (10+2) from a recognized Board / Institute OR its equivalent with Physics, Chemistry and Biology/Mathematics and Diploma in Medical Laboratory Technology recognized by the West Bengal State Medical Faculty/ AICTE, with knowledge in Computer, MS Office, Internet is required. Must have efficiency in computers including MS Office and Internet. Selection will be done on merit and practical examination. Applications will be shortlisted on the basis of marks obtained in final qualification (highest basic qualification). In Computer Test candidates have to obtain at least 40% marks to qualify for the post. How to apply for KMC Recruitment 2019? All interested and eligible candidates can download the application from KMC website (www.kmcgov.in) and send duly filled application form along with required documents to the following postal address from 28 February 2019 to 9 March 2019.